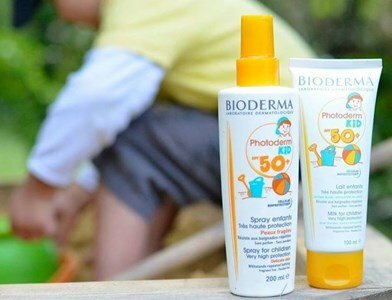 The anti-UVA filter system and anti-UVB of Photoderm Kid Spray spf50+ safely protects the delicate skin of children. easy and fun for Children! The unique patented complex Cellular bio-security, reinforced by the C Peptide, provides optimal protection in the long time of skin cells. Formulated without perfume, ensures excellent tolerance. Safe and convenient protection for all children. Apply generously and evenly before sun exposure, after carefully drying the skin. 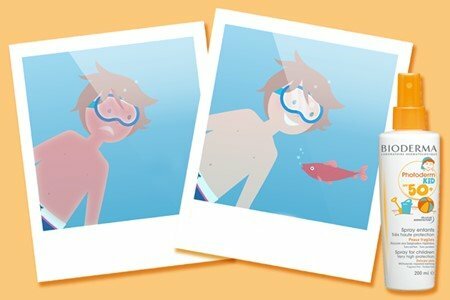 Apply often after bathing, after a sport activity or if for some reason the sunscreen was removed from the skin. No alcohol. No octocrylene. No Parabens.